LinkedIn profiles seemingly are replacing traditional CVs for job seekers. But this is occurring in parallel with a dramatic rise in fake or misleading Linked In profiles. If you are looking to hire people into Microsoft Dynamics jobs, it has thus become increasingly important to know how to spot vital clues which point to a fake profile or a profile which might at best be bending the truth. I’ve experienced it as a recruiter; finding what seems to be an excellent candidate for a Microsoft Dynamics role, getting through the interview process, only to discover 4 weeks later that the T&L module they claimed to be an expert in on their LinkedIn profile was actually a big fat lie. 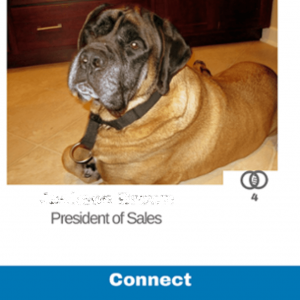 Why create a fake Linked in profile anyway? Some recruiter firms quite clearly use LinkedIn to snare job openings that they can try to fill with their own candidates. Their staff do this by calling themselves not Recruiters or Hiring Managers or similar, but things like Dynamics AX Consultant, Dynamics CRM Manager, and so on. They there get caught in searches by other hirers. So scrutinizing of the whole profile becomes essential. As LinkedIn is now so farmed by recruiters, if you are a Dynamics professional looking for Microsoft Dynamics jobs, it makes sound sense to advertise skills and experience through LinkedIn as well as other platforms, even though it isn’t able to give the detail that hirers need to differentiate candidates. Unfortunately, it seems some people value their own ambition over their integrity, and so sometimes provide false information to accelerate their Dynamics careers. Maybe they think they can blag it in an interview or that they can pick things up as they go along. Regardless of the reasons, the results are always damaging; wasting time in the onboarding process, costing money in recruitment fees, and adversely affecting a company’s reputation. There are ways to counter this. What can Dynamics Talent Managers look out for when using LinkedIn searching for candidates for Microsoft Dynamics jobs they need to fill? Some of these may seem pretty obvious but as my overprotective mother always said to me, it’s better to be safe than sorry. An inappropriate photo, or even no photo at all, is probably the first warning sign. A strong candidate for a Microsoft Dynamics role should be able to present a professional image to the business world. A LinkedIn photo should therefore be either a recent studio portrait or an amateur shot that shows them in a professional environment. But beware – some professional-looking, posed shots of glamourous people with groups of staff in the background are possibly stock images lifted from other sites. If you aren’t sure, run the picture through Google’s Reverse Image Search or TinEye and see how often the picture appears, and on which sites. And please, while we’re on LinkedIn photos, let’s leave the party snaps, pictures of pets, or pouting selfies for Facebook. Would you connect to someone who looks like this? In my experience those candidates who write a short essay about every position they’ve held can’t tell the difference between what’s important and what’s insignificant – not great if they want an Business Analysis or PM role. Also look out for the language they use. As a recruiter I would often look out for “I contributed to”, “I participated in”, or “member of the team that” – language which would suggest they were not personally responsible for something and were perhaps more of a passenger on that particular task. A key tell for a misleading candidate is one who demonstrates an inability to remain on in a job or on a project for a sustained period of time. Sure, many Microsoft Dynamics contractors will tell you this is the nature of the beast, but in reality those candidates who have held 4 roles in one year are probably those whose contracts have not been renewed. Just be sure to ask the question…why?! For permanent staff, a simple check I always do on Resumes (and LinkedIn gives you this for free) is write the length of each job. There have to be a fair proportion over 2 years. If most are less than 2 years, you have to start probing. Another key way of judging the integrity of someone’s profile is to review their connections. If someone professes to having worked in the Dynamics industry for the last 10 years they should have the connections to back this up….hundreds of them. 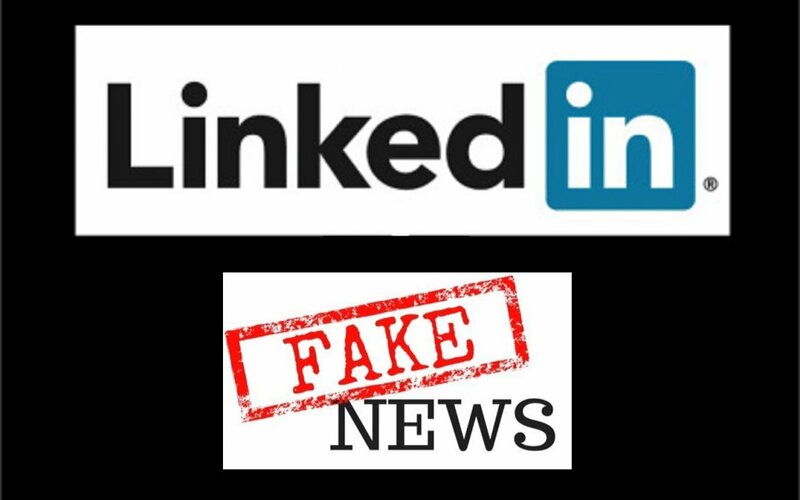 Of course there are exceptions to this rule with some people genuinely new to LinkedIn but all in all, and I can only speak from my own experience, the candidates with very few connections are not candidates at all; they’re recruiters who set up fake profiles to fish for leads. This is becoming an increasing issue on LinkedIn. If they have less than 50 connections, from a diverse range of people of differing seniority and companies, look very carefully at their employment history. How detailed is it, how far back does it go, and how well does it stack up? With LinkedIn acting as a collaborative forum, a genuine candidate seeking a Microsoft Dynamics job, should have a plenty of valid endorsements / recommendations. This is a key way of testing the credibility of a potential candidate. However it’s also worth noting that this can also work the other way. Some candidates will overcompensate for their lack of genuine endorsements by asking friends for recommendations. Again be vigilant and do your due diligence – look for a diverse range of people of differing seniority and companies, especially ‘reported to’ endorsements at companies the candidate has worked at. And while we’re at it, check out their educational record. Is it a top University (or even a real university)? Quite often the dates don’t tally with their career history. All in all, there are many ways a potential candidate could mislead a hiring Talent Manager or recruiter through their LinkedIn profile. The lesson here is to study a LinkedIn profile in its entirety and spot the warning signs before embarking on what could be a long recruitment process. And if you’re tired of putting your neck on the line trusting a LinkedIn profile, then be sure to check out how 365 Talent Portal works. Through a long relationship with Microsoft, and by providing consultant-focussed services such as exclusive access to several sources of Microsoft Dynamics training materials, we have attracted over 5,000 Microsoft Dynamics professionals on to our portal. We check each one out before they are allowed access to our portal and services, and ask them for detailed profiling and certifications. You can view these, so you can be sure they are proper Dynamics consultants. Top Dynamics partners and end users use our portal to search, find and directly contact Microsoft Dynamics candidates, safe in the knowledge that candidates are indeed what they say they are. They also love the concierge service our specialists can give them to aid searching and finding key staff, and the positioning help we give them such as how to create really effective job adverts. If you’d like to get a taste of this now, please download our free guide “How to build a great Dynamics job advert” by pressing the button below. And if you’d like to have direct access to nearly 5000 verified Dynamics consultants that you could hire, please use the button below to find out more.